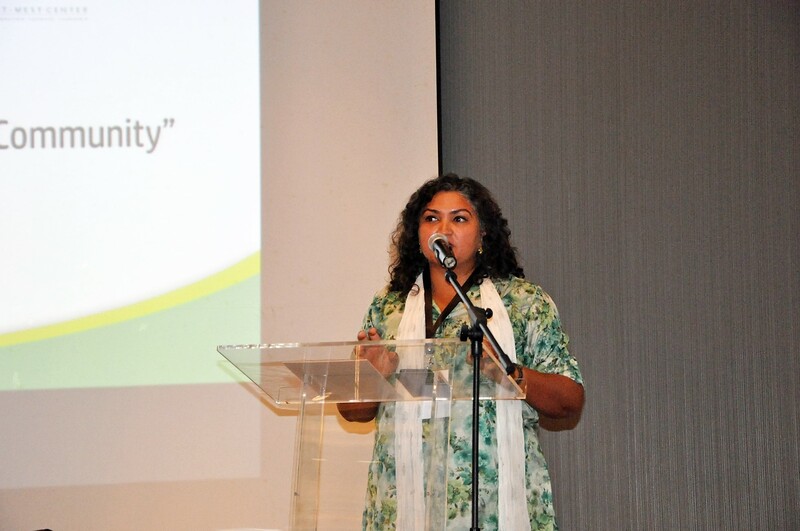 Denpasar, 10 August 2016–Today, the annual Summer Institute in International Humanitarian Law and Human Rights (Summer Institute) kicked off in Bali with welcoming remarks from Professor Harkristuti Harkrisnowo, HRRC Acting Executive Director, H.E. Ms. Lily Purba, Chairperson of the ASEAN Commission on the Promotion and Protection of the Rights of Women and Children (ACWC), H.E. Mr. Chomyaeng Phentongsawat, Chairperson of and the ASEAN Committee on the Implementation of the ASEAN Declaration on the Protection and Promotion of the Rights of Migrant Workers (ACMW), and Prof. Dr. dr. Ketut Suastika, Sp.PD.KEMD. Rector of Udayana University. Professor Harkrisnowo, in her opening remarks, expressed her expectation to see inter-pillar collaboration and cohesiveness in preparing ASEAN to face the ASEAN Economic Community. She highlighted the crucial role of human rights protection in order to ensure that vulnerable groups can actively contribute to regional efforts and benefit from economic progress within ASEAN. H.E. Mr. Chomyaeng Phentongsawat expressed in line enthusiasm on vulnerable groups, emphasizing the protection of migrant workers, who comprise a significant portion of the total workers within ASEAN. The ASEAN Economic Community (AEC), one of the pillars of ASEAN One Community that was formally launched in late 2015, intends to create political and economic benefits for ASEAN Member States, including creating 14 million new jobs. However, several studies have cautioned against possible risks to vulnerable groups unless Member States initiate socio-political structural changes. 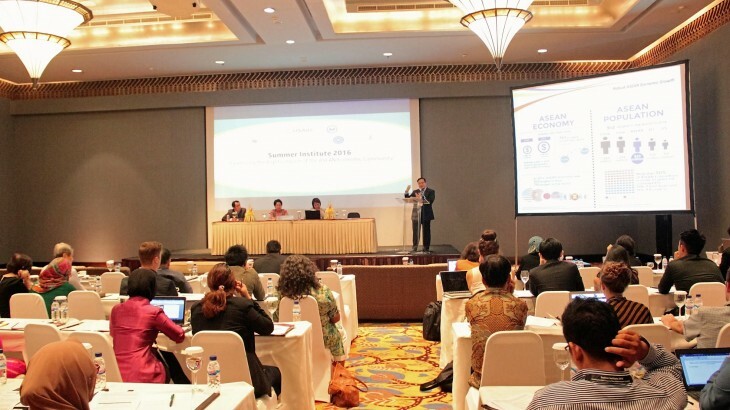 The fundamental objective of the Summer Institute this year is thus to provide ASEAN Secretariat officials, relevant ASEAN bodies (ASEAN Intergovernmental Commission on Human Rights (AICHR), ACWC, ACMW, relevant ASEAN sectoral bodies), and experts from the academia and civil society with a platform to discuss the AEC and its interconnection with other ASEAN Community pillars and principles, including those enshrined in the ASEAN Human Rights Declaration, in order to ensure a harmonized, coordinated regional approach to the prevention of and response to increased human rights risks. The Summer Institute will feature distinguished speakers and resource persons representing ASEAN bodies, other international organizations, practitioners from the field and academics. The Summer Institute is organised by the Human Rights Resource Centre, WSD HANDA Center for Human Rights and International Justice at Stanford University, Udayana University and East West Center. The event is supported by the United States Agency for International Development and the Ministry of Foreign Affairs of Singapore.